Gary W. Toepper, age 73, of Toluca, IL; formerly of Monee, IL; passed away on Friday, June 29, 2018 at his home, suddenly. He was born on May 27, 1945 in Joliet, IL, the son of the late Carl O. and Enga M. (Bohnsack) Toepper. Gary worked at Mobil Chemical in Frankfort, IL for 34 years. 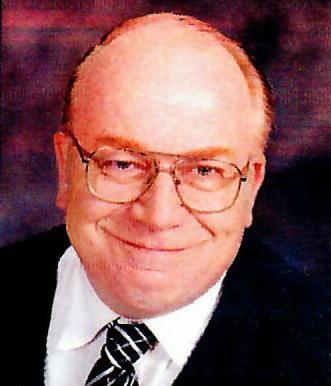 He was a member of St. John’s United Church of Christ, North Peotone. He enjoyed bowling and following the Chicago Cubs and St. Louis Cardinals baseball teams. He is survived by two brothers and sisters-in-law; Allen and Jean Toepper of Toluca, IL and Randy and Lori Toepper of Magnolia, IL; a sister and brother-in-law, Rita and Ron Hartmann of Eolia, MO; and numerous nieces and nephews. Visitation will be held at St. John’s United Church of Christ, North Peotone, on Monday, July 2 from 10:00 a.m.-11:00 a.m. Funeral services will be held at St. John’s United Church of Christ on Monday, July 2 at 11:00 a.m., Rev. Patricia Morton officiating. Burial will take place at St. John’s Cemetery, North Peotone. Memorials to St. John’s United Church of Christ or the Toluca Ambulance would be appreciated.